Ukubwa wa hakikisho: piseli 600 × 600. Ukubwa zingine: piseli 240 × 240 | piseli 480 × 480 | piseli 768 × 768 | piseli 1,024 × 1,024 | piseli 3,744 × 3,744. 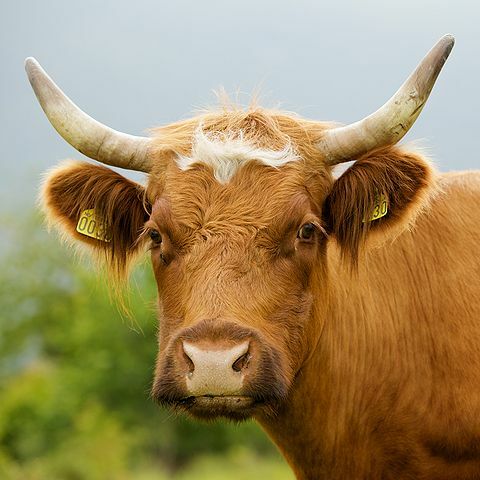 English: Cow portrait, Norway. Breed is most likely Norwegian Red. Français : Portrait d'une vache en Norvège. This image was originally posted to Flickr by Ernst Vikne at https://www.flickr.com/photos/42834622@N00/3713561004. It was reviewed on 25 Septemba 2009 by FlickreviewR and was confirmed to be licensed under the terms of the cc-by-sa-2.0. English: This image was selected as a picture of the day on the Ossetian Wikipedia for 19th of March 2010. Ирон: Ацы ныв æвзæрст æрцыдис Ирон Википедийы боны нывыл. 2010 азы 19 мартъийы. Svenska: Denna bild valdes som dagens bild på ossetiskspråkiga Wikipedia för 19th of March 2010.